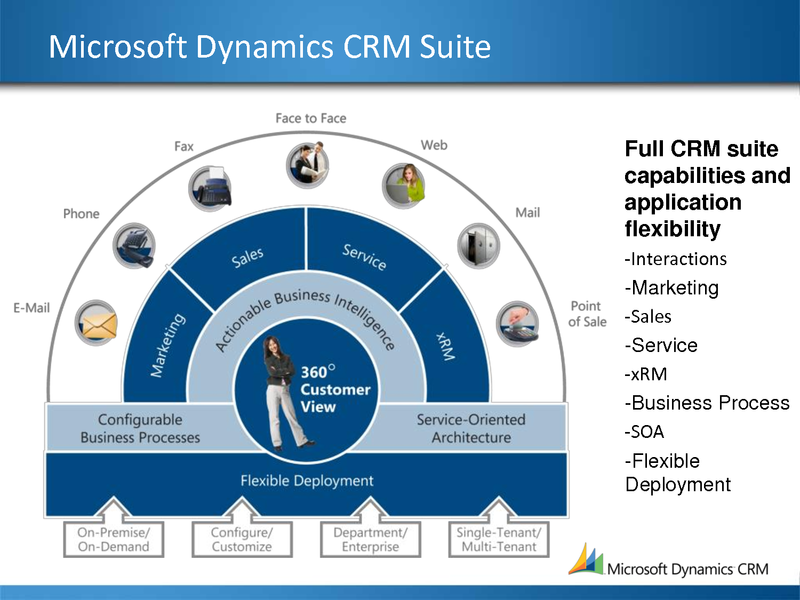 Microsoft Dynamics CRM is an integrated customer relationship suite helping businesses both large and mid market alike to win and cultivate profitable customer relationships. MS Dynamics CRM provides a comprehensive set of cost effective marketing tools to better understand your customers from first contact through purchase and post-sales, and channelize your resources to the areas of maximum returns. Customer relationship management (CRM) can help reduce costs and increase profitability by organizing and automating business processes that nurture customer satisfaction and loyalty in the sales, marketing, and customer service fields.